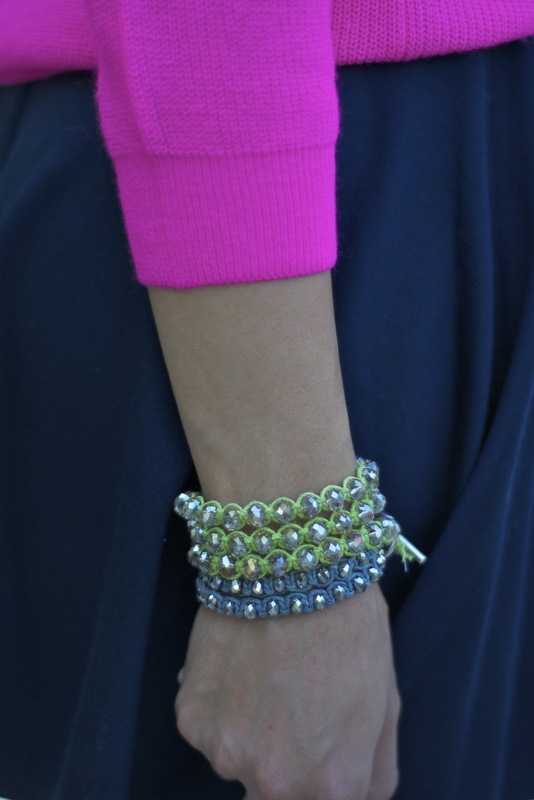 Fuchsia and navy are one of my favorite color combinations ever- they both compliment each other beautifully. This sweater and skirt are not only great fall staples, but they're affordable and cute as well. And these glitter sandals are the icing on the cake! I wanted to play up the colors of the heels so I added a some DIY crystal bracelets and a simple necklace from Forever 21. Wow! That color of pink is fantastic. And I love the simplicity of that necklace. Did you get it recently? Might have to go pick one up! I was going to buy that skirt from f21 online! It looks good on you! I love navy as well! Such a classic color without being too dark. Love the bright pink with it!